SU Jingyang, WANG Rongrong, YUAN Yuan, LI Songlin, ZHU Zhengnan, HUANG Luting, FENG Rui, SHAO Dongxue, SUN Xuefei, HAO Liying. Construction of a Mutant CaM-expressing Plasmid, and Expression, Purification, and Activity Identification of the Recombinant Protein[J]. Journal of China Medical University, 2018, 47(2): 97-101. 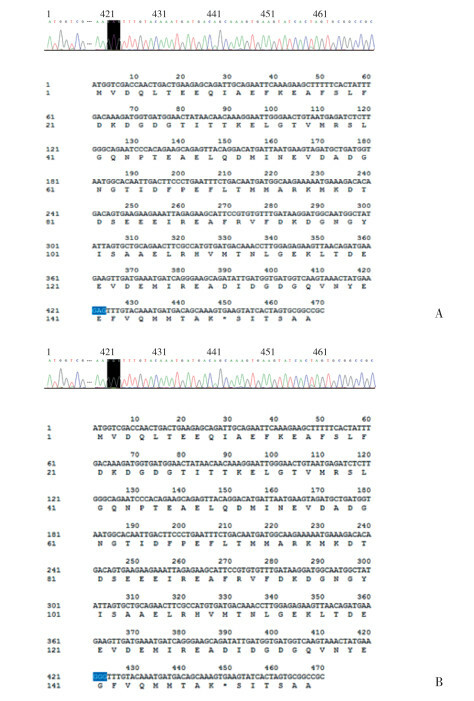 Abstract: Objective To construct a CaME141G fusion protein-expressing plasmid, and to express, purify, and identify the activity of the recombinant protein.Methods The 141st site of the wild type CaM, E (GAG), was mutated to G (GGG), using site-specific mutagenesis technology. 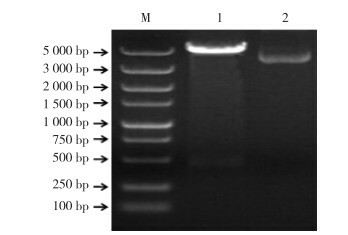 Escherichia coli BL-21 was transformed with the mutant plasmid. The GST-CaME141G fusion protein was mass-cultured and induced for expression. Subsequently, the GST-CaME141G fusion protein was purified using GS-4B beads. 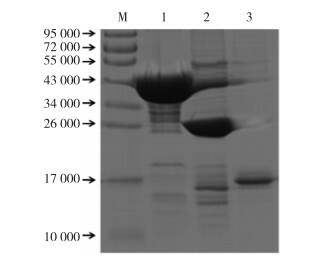 PreScission protease was applied to remove the GST, the Bradford method used to determine the concentration of purified protein, and SDS-PAGE used to detect its relative molecular weight and purity. The GST pull-down assay was used to study the protein's biological activity.Results The CaME141G protein was successfully purified at a high concentration and purity. 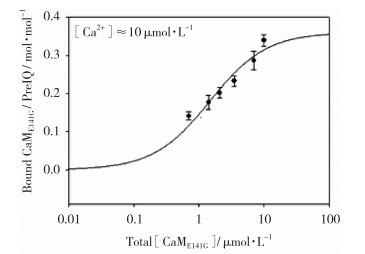 The protein could interact with PreIQ protein fragments from the myocardial CaV1.2 calcium channel C terminal, in a CaME141G concentration-dependent manner. Therefore, CaME141G has the ability to bind with the CaV1.2 calcium channel.Conclusion This study successfully constructed a CaME141G fusion protein-expressing plasmid and purified the CaME141G protein. This lays a foundation for regulating the function of CaM mutations in the myocardial CaV1.2 calcium channel, and for the study of its relationship with diseases of the cardiovascular system.